At the end of my spiral into so many toiles that I nearly lost the will to sew, I started drafting an A line skirt. Following my Belcarras reset (here and here) I thankfully had the confidence and motivation again to continue with the skirt. 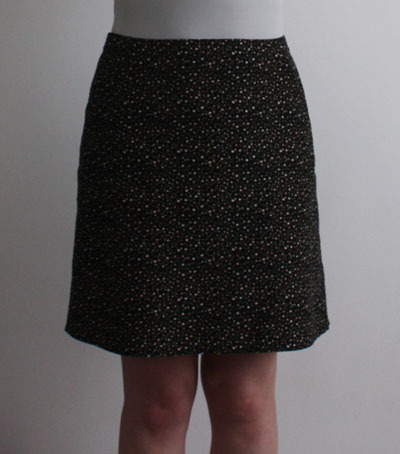 I started drafting this skirt from a basic pencil skirt, rotating the waist darts to create the A line shape (I calculated it so that I could remove the front darts entirely) then added in hip slant pockets using the same pocket shape as my Ginger skirt. As I think this is likely to be more of a cooler weather skirt, I lined it with a pink/green acetate also from Goldhawk Road (I drafted the lining to be a little bit wider than the skirt around the hips to be on the safe side since the needlecord should have more give than the acetate). 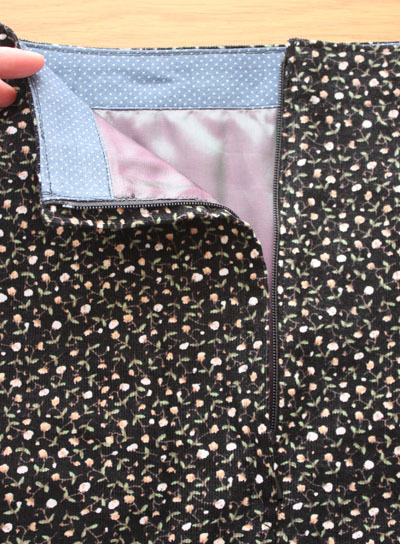 For the facing and pocket linings I used some cotton from a decent stash of fabric that my grandma kindly gave me. Overall I am very pleased with this skirt – I enjoyed taking my time over the new techniques and getting a neat finish. 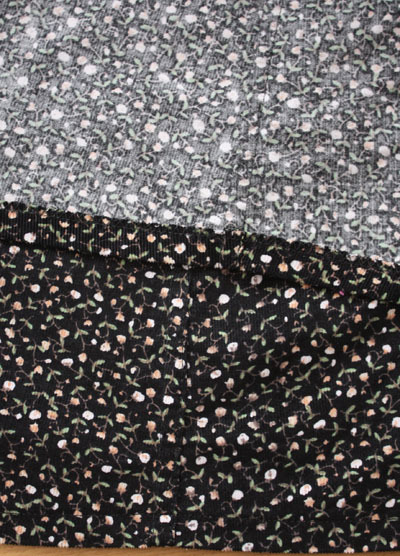 Plus, the fabric is lovely and soft to touch, it has pockets and I think that the shape of this would lend itself well to a few more skirts in different fabrics/colours that could become easy work staples. Wow the finish is beautiful Alex. I recognise that needlecord when you it on Goldhawk Road! 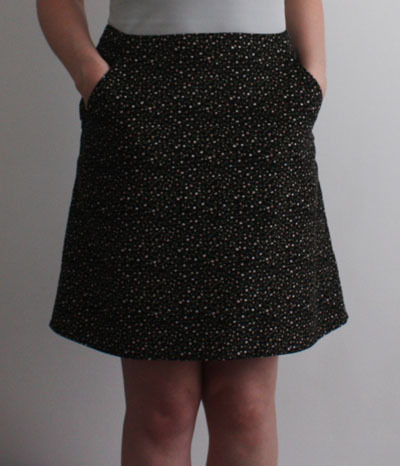 The skirt is very flattering and I love the two-tone lining which picks up on the colours in the cord so well. You should feel very pleased with yourself! Thanks Caroline. You are right – I have been getting a good amount of wear out of this already!